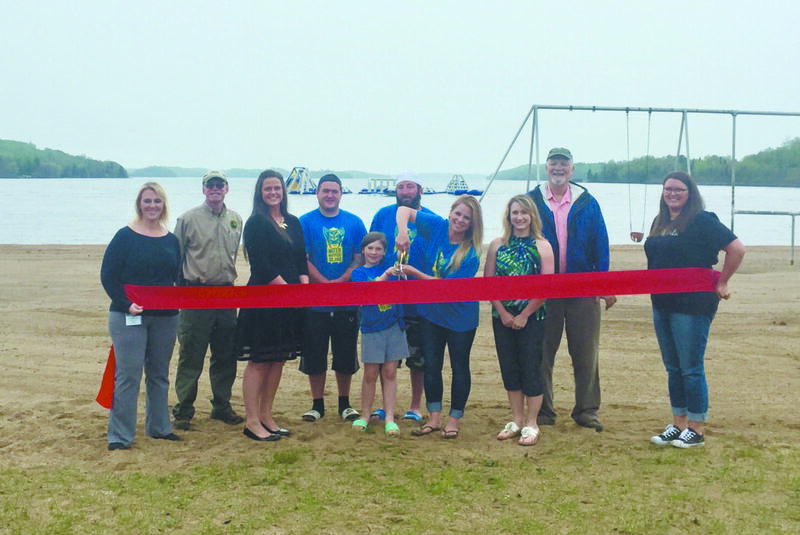 On May 24, the Greater Ishpeming-Negaunee Area Chamber of Commerce held a ribbon cutting to celebrate the opening of Water Warrior Island. The ribbon cutting took place at Van Riper State Park, located at 851 County Road AKE in Champion. 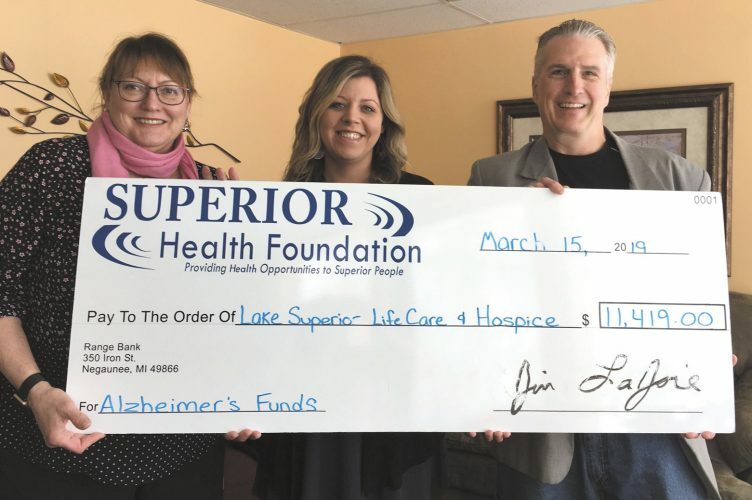 Water Warrior Island is an inflatable floating playground which will be situated on Lake Michigamme at Van Riper State Park. The playground features 20-foot water slides, rock climbing walls, trampolines, floating walkways, and a ninja warrior-like obstacle course. The Island will offer 2-hour, 5- hour, and whole-day passes. The equipment is state-of- the-art and fun for all ages. Water Warrior Island will be open seven days a week all summer through Sept. 4. The Island will be open Monday through Thursday from 10 a.m.- 7 p.m., and Friday through Sunday 10 a.m. – 8 p.m. For more information about Water Warrior Island, call Samantha Gillespie at 586-864-4271 or email at waterwarriorisland@gmail.com.